I know that you will have an exciting time with lots of energy and hoopla. But I am very curious to hear about the tone and content of what transpires. First, I would like to know whether Kerry’s diplomatic push is spoken of in a positive or negative manner. That is, whether U.S. getting the sides to the table is a good thing or not – NOT whether the chances of success are good. Not whether there is no partner, etc. That is, does AIPAC support diplomacy with regard to the Palestinians? I am interested to hear how much support you hear for a two state solution. Again, not whether or not it is likely to come about right now – but whether it is a good idea or not that trying our hardest to work towards that goal or not. In that regard, do you hear anyone talking about the importance of coming up with some solution to the current Occupation? Do people think that the status quo can continue indefinitely? Or, annexation of Judea and Samaria into one Jewish state where the Palestinians have less rights than Jews? Annexation of Judea and Samaria where it’s one person, one vote? Or, again, Do you hear anyone talking about creative solutions, like saying that it might be a good idea to freeze construction in the West Bank temporarily to see whether this might force the Palestinians to ‘put up or shut up’? Next, I am curious to know whether you hear support for diplomacy with Iran – and what the nature of the agreement is that they would support. I personally am a big supporter of keeping the military option on the table – but even more importantly, I believe that we need to push very hard to make this diplomatic effort work. Public criticism of the administration makes very little sense given that we are in negotiations at the moment. Doesn’t this type of rift show weakness, not strength? Although AIPAC finally backed off pushing the Senate Sanctions bill when the Republicans tried to force a vote (and they are still trying to force a vote by attaching the language to other bills), they essentially ignored Kerry’s specific call during Senate hearings for them to hold off on this bill until the talks had run their course. If sanctions were supposed to force the Iranians to the bargaining table, then they worked. It is time to support the negotiations and the negotiators. While I have heard the argument that the Senate sanctions bill will provide more leverage, that is not the Administration’s position. The move in the Senate appears to be more grandstanding than anything else – and particularly now that the Republicans are moving to call a vote. Wouldn’t it be more effective to work behind the scenes to make sure that the Administration drives a hard bargain? Also, I would like to hear about the diplomatic proposals that are being discussed. Although it would best if Iran dismantled their entire program – no enrichment, no centrifuges, no missiles – realistically, they will never agree to this. It would be too much of a loss of face for them both internationally and domestically. Therefore, be aware that anyone proposing no enrichment is not seriously supporting a diplomatic agreement. They aren’t necessarily warmongers – but many do in fact know that the Iranians will never accept this, but it is their way of “supporting” diplomacy while knowing that their position has no chance of acceptance. Listen carefully to people. Some will say that Iran must be prevented from getting a nuclear . Others will say that it must be prevented from having a nuclear capability. This is a significant difference and you should listen closely for who says which. If they say capability, they are usually also saying that Iran must eliminate their entire nuclear program – which as I said above is totally unrealistic. I am particularly interested to know how much talk there is about the consequences of possible military action – and what the speakers say about it. I haven’t seen the agenda, but I believe that there may indeed be some experts discussing this and I would be interested to know what their assessments are. Don’t get me wrong, these are all good things. Most of these are true statements. However, the answers are so pat, that they border on pandering – and most important, it is not good if this is the level of sophistication with which these people are going to be basing their votes on when it comes to legislation that has such serious consequences for the US, Israel and the entire world. Looking forward to hearing about the Conference. Have a great trip and enjoy! Is It Time To Dam Iran? Now here is an opportunity for REAL creative diplomacy. Since part of Iran’s justification for their nuclear program is for internal energy needs, why couldn’t our government reach out and suggest that U.S. companies be allowed to bid on this project? Of course, this runs counter to all of the current clamoring for sanctions+ and military action. But when one has a logjam, you typically can’t break it up by continuing to push the logs in the same direction. The logs just keep getting more jammed up. So, instead it calls for something – sometimes an explosive charge, to break up the jam. It seems the same way with diplomacy. The current round of negotiations with Iran seem to be déjà vu all over again. There is a need for a type of creative, out-of-the-box action to break the logjam. 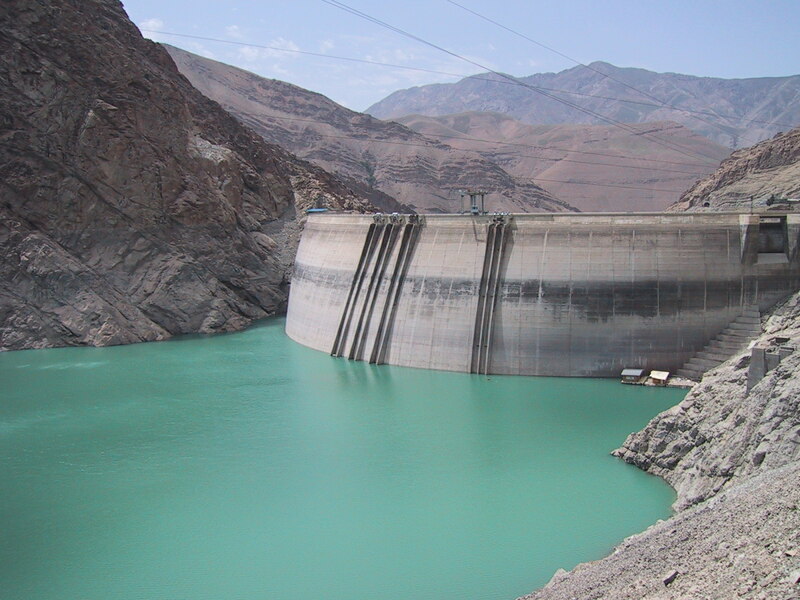 It seems that providing U.S. knowhow, project management and efficiency to a peaceful, energy project (which could be used as a face-saving reason for Iran to scale back its nuclear program) could go a long way to setting a new tone in relations with a country that cannot simply be “put in its place”. Iran is going to continue to be a key player in the region no matter what the West and Israel try to do – simply because of geography, economy and religion. It can be argued that continuing the lack of ongoing diplomatic relations and the presentation of negotiating positions that contain clear non-starters (for several reasons) for the Iranian regime, actually gives the West and Israel much less control on the outcome of the current standoff. One of the gifts of having been born into an Iranian family is the nearly religious commemorations of the change in seasons and the cycles of nature , serving as a constant reminder of one’s position in the cosmic order of things. In the past three millennia many nations have been created and then vanished. Yet several historians consider the survival of the Iranians ( or the Persians as the Greeks called them ) to have been due to the dogged obsession with the precise calculations of the sacred moments of balance in nature ; along with the poetically subversive nature of their language ( in other word, Calender / Math and Poetry ) . The Spring ( Vernal ) Equinox ( March 20-21 ) represents one of those sacred moments, as well as being symbolic of renewal. It is celebrated for nearly three weeks , starting with a fireworks ceremony on the Tuesday night before the arrival of the equinox and culminates with a day of picnics and outdoor activities on the 13th day of the new year. In between one celebrates the arrival of the new year with the family and starting on the second day, a series of home visits with the elders begins in a proper chronological order. One could consider all of this as the ancient Persian version of the pre-party, the party and then the after-party for the new year’s eve, stretched out into a three week process without leaving the senior citizens out of the action. Meanwhile, not much work gets done in countries that celebrate this holiday, much to the bewilderment of the other societies of our globalized world. Early Tuesday morning ( 12:14 AM CDT ) on March 20 , the earth will be in the exact position where both hemispheres will receive equal daylight and darkness. Hundreds of millions of people who reside in areas with historic connections to the old Persian Empire, from western borders of China , to Central and South Asia as well as the pockets in the Caucuses and the Balkans and North Africa ( not to speak of Iran ), will simultaneously celebrate that very moment. As you step out of your home that day, if you even briefly contemplate the glory of the arrival of the new season, you will have proved that being Iranian is not about bloodlines, but a state of mind. Pasted below is an article that explains the decorative and symbolic components of the festivities. No-Rooz, in word, means “New Day”. It is the new day that starts the year, traditionally the exact astronomical beginning of the Spring. Iranians take that as the beginning of the year. This exact second is called “Saal Tahvil”. No-Rooz with its’ uniquely Iranian characteristics has been celebrated for at least 3,000 years and is deeply rooted in the rituals and traditions of the Zoroastrian (This was the religion of ancient Persia before the advent of Islam in 7th century A.D.). Iranians consider No-Rooz as their biggest celebration of the year, before the new year, they start cleaning their houses (Khaane Tekaani), and they buy new clothes. 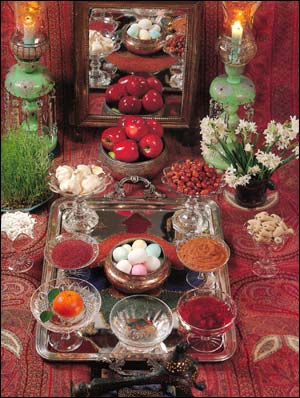 But a major part of New Year rituals is setting the “Haft Seen” with seven specific items. In ancient times each of the items corresponded to one of the seven creations and the seven holy immortals protecting them. Today they are changed and modified but some have kept their symbolism. All the seven items start with the letter “S”; this was not the order in ancient times. These seven things usually are: Seeb (apple), Sabze (green grass), Serke (vinager), Samanoo (a meal made out of wheat), Senjed (a special kind of berry), Sekke (coin), and Seer (garlic). Sometimes instead of Serke they put Somagh (sumak, an Iranian spice). Zoroastrians today do not have the seven “S”s but they have the ritual of growing seven seeds as a reminder that this is the seventh feast of creation, while their sprouting into new growth symbolized resurrection and eternal life to come. Wheat or lentil representing new growth is grown in a flat dish a few days before the New Year and is called Sabzeh (green shoots). Decorated with colorful ribbons, it is kept until Sizdah beh dar, the 13th day of the New Year, and then disposed outdoors. A few live gold fish (the most easily obtainable animal) are placed in a fish bowl. In the old days they would be returned to the riverbanks, but today most people will keep them. Mirrors are placed on the spread with lit candles as a symbol of fire. Most of the people used to place Qoran on their Sofreh (spread) in order to bless the New Year. But some people found another alternative to Qoran and replaced it by the Divan-e Hafez (poetry book of Hefez), and during “Saal Tahvil” reading some verses from it was popular. Nowadays, a great number of Iranians are placing Shahnameh (the Epic of Kings) of Ferdowsi on their spread as an Iranian national book. They believe that Shahnameh has more Iranian identity values and spirits, and is much suitable for this ancient celebration. After the Saal Tahvil, people hug and kiss each other and wish each other a happy new year. Then they give presents to each other (traditionally cash, coins or gold coins), usually older ones to the younger ones. The first few days are spent visiting older members of the family, relatives and friends. Children receive presents and sweets, special meals and “Aajil” (a combination of different nuts with raisins and other sweet stuff) or fruits are consumed. Traditionally on the night before the New Year, most Iranians will have Sabzi Polo Mahi, a special dish of rice cooked with fresh herbs and served with smoked and freshly fried fish. Koukou Sabzi, a mixture of fresh herbs with eggs fried or baked, is also served. The next day rice and noodles (Reshteh Polo) is served. Regional variations exist and very colorful feasts are prepared. The 13th day of the new year is called “Sizdah Bedar” and spent mostly outdoors. People will leave their homes to go to the parks or local plains for a festive picnic. It is a must to spend Sizdah Bedar in nature. This is called Sizdah Bedar and is the most popular day of the holidays among children because they get to play a lot! Also in this day, people throw the Sabze away, they believe Sabze should not stay in the house after “Sizdah Bedar”. 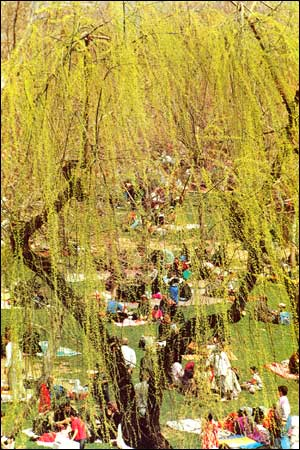 Iranians regard 13th day as a bad omen and believe that by going into the fields and parks they avoid misfortunes. It is also believed that unwed girls can wish for a husband by going into the fields and tying a knot between green shoots, symbolizing a marital bond. (Zardi-e man az to) And take back my sickly pallor! It means: I will give you my yellow color (sign of sickness), and you give me your fiery red color (sign of healthiness). This is a purification rite and ‘suri’ itself means red and fiery. Sad Saal be in Saal-ha (Wishing you 100 more Happy New Years). After all No-Rooz is a fun time for all of the Iranians, old and young. You don’t get democracy to be born out of a war, I think that we should have learned that by now…and where there is a war, it enables governments to further do away with civil liberties of their populations…The pro-democracy movement [in Iran] is yelling and screaming “Don’t go to war”. Unfortunately, it doesn’t seem like the media is picking that up. In Part 1 of the interview, which was the actual footage shown on air, Trita presents some insightful counter-arguments to the current push for military action against Iran. 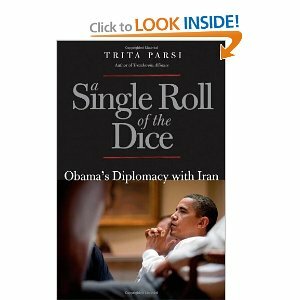 Trita’s new book, The Single Roll of the Dice, documents the history of U.S. diplomacy with Iran from 2003 to present and how internal domestic interests and unlucky timing prevented any progress. This weekend, beginning Sunday, we are about to witness one of the most dramatic shows of Jewish political force in the history of the United States. This is not some anti-Zionist rhetoric – it is simply a fact. AIPAC is going to have over 10,000 people in the DC Convention Center (myself included) at its Policy Conference [for live ‘fair and balanced’ tweets, check www.twitter/beyondzs] – and will have 30-50% of those attending going to lobby on Capitol Hill. Normally, I might say mazel tov – tanks G-t so many care about Israel. But right now, AIPAC is stridently promoting political moves here in the US to lay the groundwork for Israel (alone, or with US overt assistance) to take military action against Iran very shortly. I believe that they do this with good intention, but with flawed reasoning and almost negligent disregard for the outcomes. How can they do this without facing strong, forceful pushback? War is easy and its drums are seductive. F.U.D. (fear, uncertainty and doubt) cry out to the most base human emotions. The politics of our time rewards simplicity and machismo. Further details can be found here: http://jstreet.org/policy/issues/iran/. If you agree with this postion, you can take concrete action by attending the J Street Conference. Every single person who attends sends a critical counter message to Members of Congress and the President. By doing so, you will be standing up for intelligent debate here at home, for allowing the current round of sanctions time to work, and arguing for a new diplomatic “surge”. Trust me, Congressmen and women can count – and they will. There will be a simple calculus taking place politically throughout Washington – they will stack up what they see as the constituency pushing for the “military option” versus the constituency that opposes immediate military action in favor of a calmer, more reasoned and examined approach. Any of you reading this who are part of the latter group – need to be in D.C. at the J Street Conference. Period. I know that it is difficult for people to get away. I know that it is expensive in terms of both time and money (although there is financial assistance available). I know that we all have non-stop schedules. But (and I know that this may sound narcissistic and overly dramatic) I personally feel that we are at a time not unlike Dr. King’s March on Washington, not unlike Breaking Down the Berlin Wall, not unlike Tiananmen Square. That is, there are specific moments in time that actually do affect the course of history. Their outcomes revise the course of world history. They determine the trajectory of the future. Is it hyperbole to put this moment in that context? Perhaps. We are talking about the prospect of America entering its Third War in a little over 10 years with potentially massive consequences in terms of death, destruction and economic upheaval for the U.S., Israel, Iran and the rest of the world. There can be very little doubt that military action against Iran is going to set a new trajectory for the Middle East – and quite possibly the entire world. So, is that worth taking two-three days of our time? I do not ask this rhetorically nor do I question anyone’s answer to that question. All that I am saying is that from my personal perspective, we are at a watershed moment for our country, for Israel, and for the world as a whole. We have a chance to do something to influence what direction our government takes. I urge you to join me at the J Street Conference in D.C. March 24-26 and to meet with your Member of Congress face-to-face on Tuesday, March 27. Tell her/him directly how you feel. For anyone who reads this who would like to consider going and might want more specific details – please contact me at beyondzerosum.gmail.com and let’s discuss. Iran: Haven’t We Tried Everything Already? One can’t open a newspaper (if anyone still does that anymore) without seeing a lot of F.U.D. about Iran. What is F.U.D? Fear, uncertainty and doubt. “Existential threat”, “zone of immunity”, and “unacceptable” are terms that can be read in almost every article. Unfortunately, there is a lot of truth in these descriptions. On the other hand, there seems to be only a single prescription at this point in time. That, of course, is John McCain’s old tune: “Bomb, bomb, bomb, bomb-bomb Iran” (Granted the Rx is crafted a bit more elegantly than that). Haven’t we tried diplomacy and it didn’t work? You might find an unexpected answer in Trita Parsi’s new book, A Single Roll of the Dice. Trita is one of the foremost experts on the relationship between Israel and Iran (his first book, A Treacherous Alliance has been called one of the “few detailed studies examining Israeli and Iranian attitudes and postures towards each other outside the context of U.S.-Iranian relations” by none other than the Rand Corporation in a recent comprehensive white paper: Israel and Iran – A Dangerous Rivalry) Trita reviews the month-by-month history of events involving the Iran nuclear program and vigorously argues that for many reasons, including missteps by all parties concerned, diplomacy was constantly being shifted off course. He especially highlights the little know fact that a diplomatic deal was ACTUALLY MADE in MAY, 2010 with Iran by the Turks and Brazilians – but was essentially rejected because the sanctions’ “train” had already moved out of the station. Haven’t we tried Sanctions and they haven’t worked? First, sanctions do appear to be having an effect. The value of the Iranian currency has dropped almost 50%. Other economic shifts are being felt. Second, the latest round of sanctions has only been in place since approximately January 1st – hardly enough time to assess their impact. Third, even harsher sanctions are scheduled to kick in over the next several months. In a just released interview by Robert Dreyfuss for Frontline’s Tehran Bureau, Keith Weissman talks about his stint at AIPAC. Weissman and fellow staffer Steve Rosen were indicted for espionage for allegedly passing documents to Israeli intelligence officers. These charges were eventually dropped – and the whole incident appears to be nothing more than the usual Inside The Beltway exchange of information that goes on 24 hours a day. “So Rabin is shot. I mean, he won Oslo in the Knesset by one vote! You could imagine that in America there was similar opposition [to Oslo]…. AIPAC had spent the last 15 years helping the Likud, so you’ve got people there that were sucking at the teat of Likud, that was how they viewed things. That’s why so many people left AIPAC. A lot of them went to join ZOA and a lot of them also contributed to the work of Daniel Pipes. When Rabin came in, they had taken their money and left, and there was a lot of turmoil. At the time, I remember, they’d send me around the country, to fundraisers, with a lot of older people, and I would be yelled and screamed at, ‘I can’t believe you’re doing this!’ Donors were leaving, taking the money, and that’s really their bread and butter, the lay leadership. 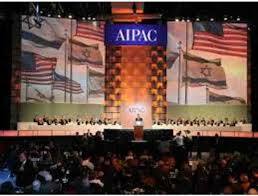 AIPAC’s donors were very active in the organization. Very. They were major elements in making policy, in determining the agenda, who the leadership was.